Gift wrapping is one of those things that I love to do but rarely have time to actually do it. I almost always go with the classic bag tissue paper combo. 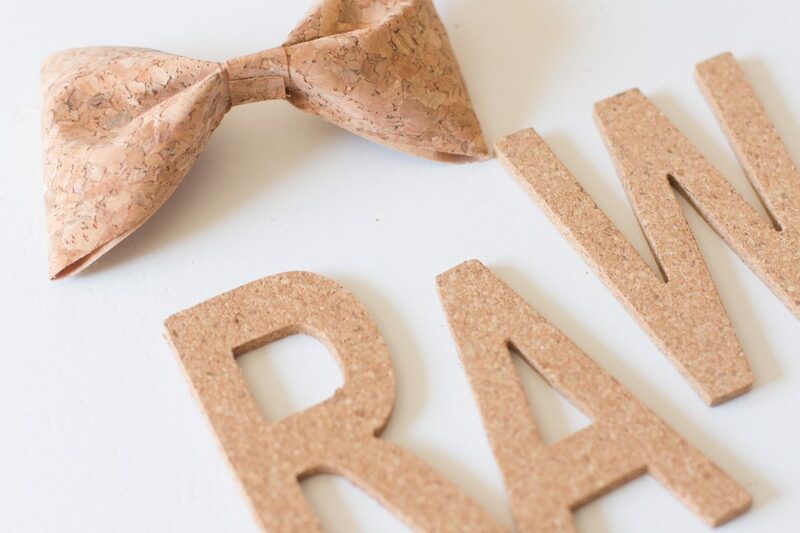 But when I do have enough time I like to make my packages cute and sweet.For this months challenge, Michael ‘s sent us a fun package of RAW materials from their new line, RAW which will be available for you all August 8th. 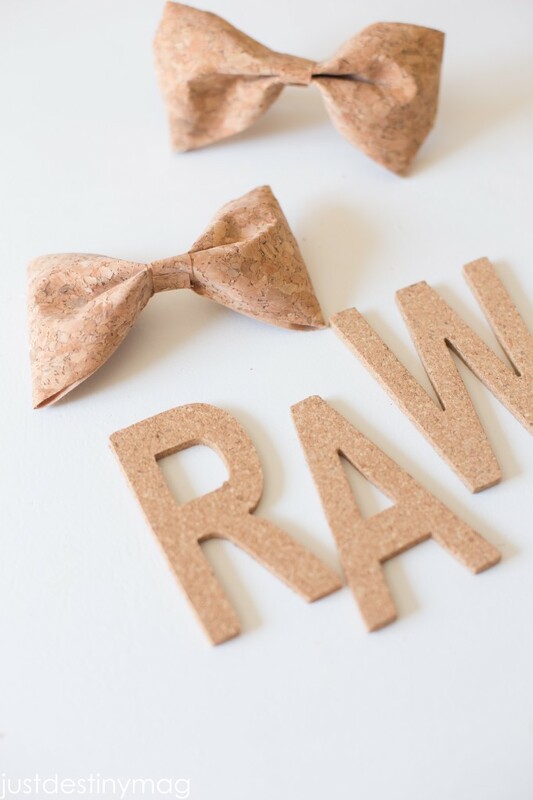 Raw Bar is a brand new line of products made of or accessorized by materials inspired by nature. Surfaces and textures include: burlap, cork, chalk board, wood, metal and canvas. Michael’s LOVES input from their customers so it’s no surprise that they created the Raw Bar because customers requested raw surfaces that are unfinished and easily craft-able! 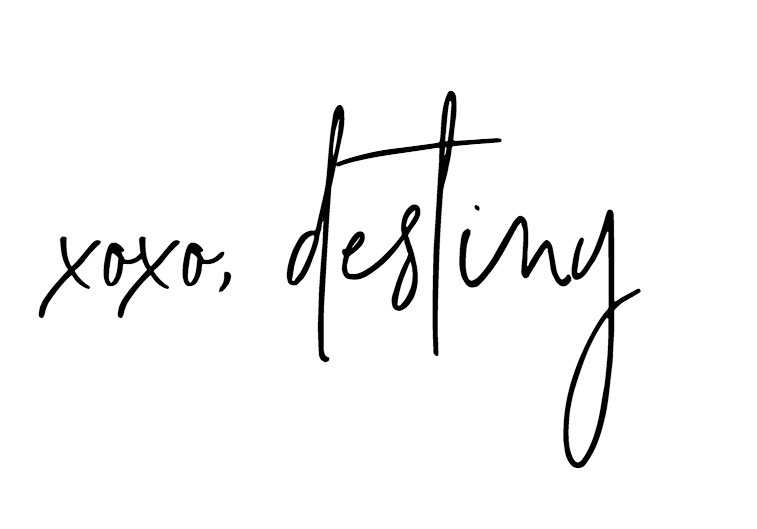 I thought a few ways you can use this collection for gift giving and wrapping. 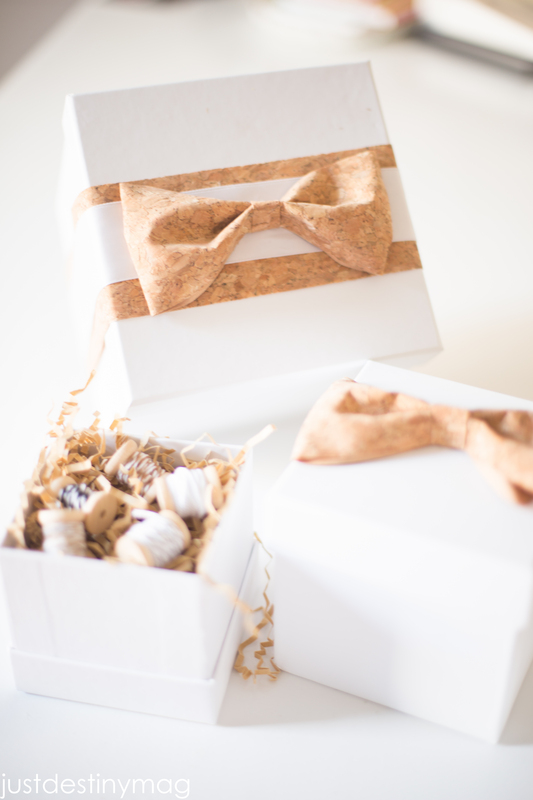 With just a little extra prep you can doll up any package! Wrap up samples of twine for a craft friend by taking the wooden spools and wrapping around different colors! 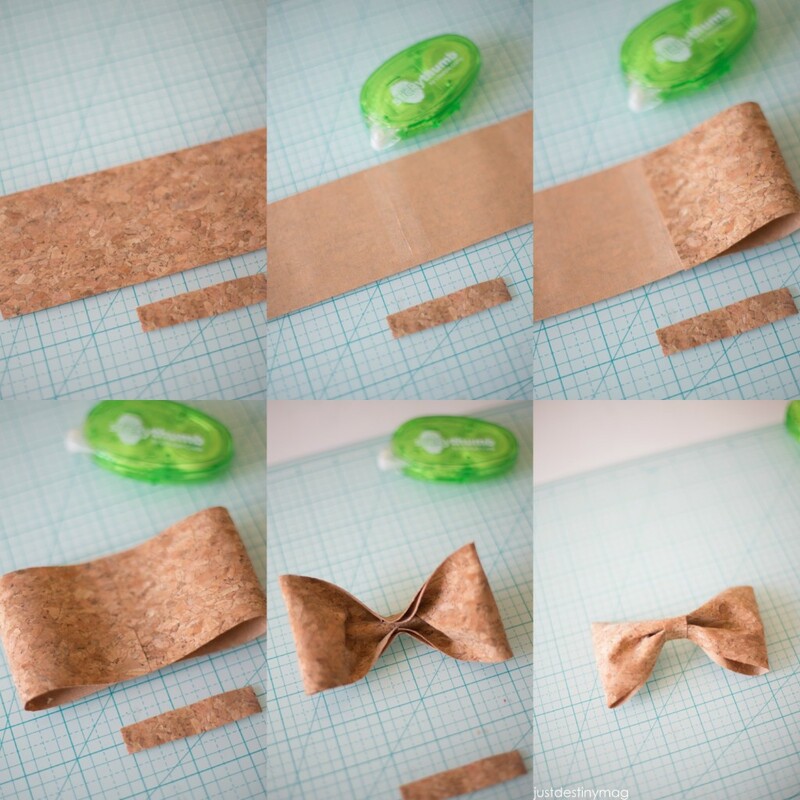 You can also do this with washi tape! 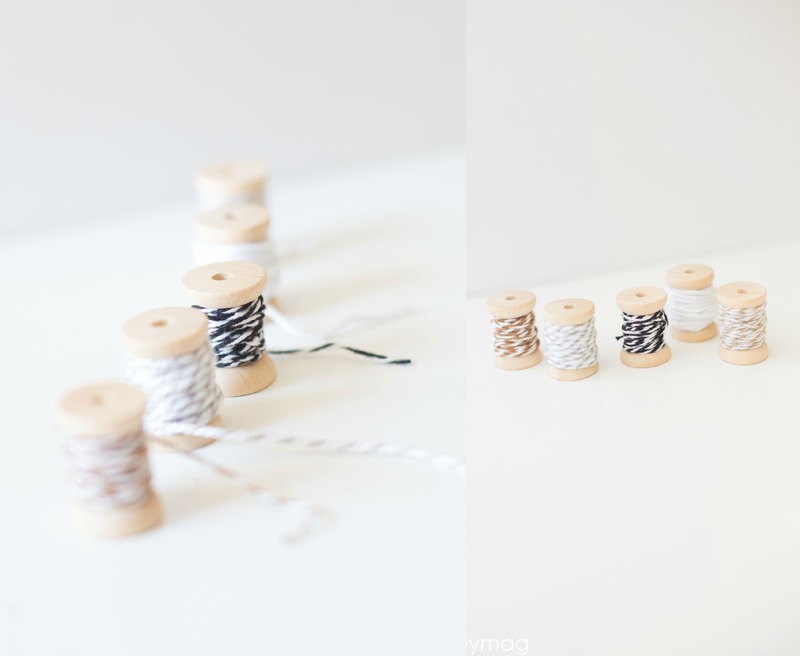 How to: Simply wrap them around the spool and cut. 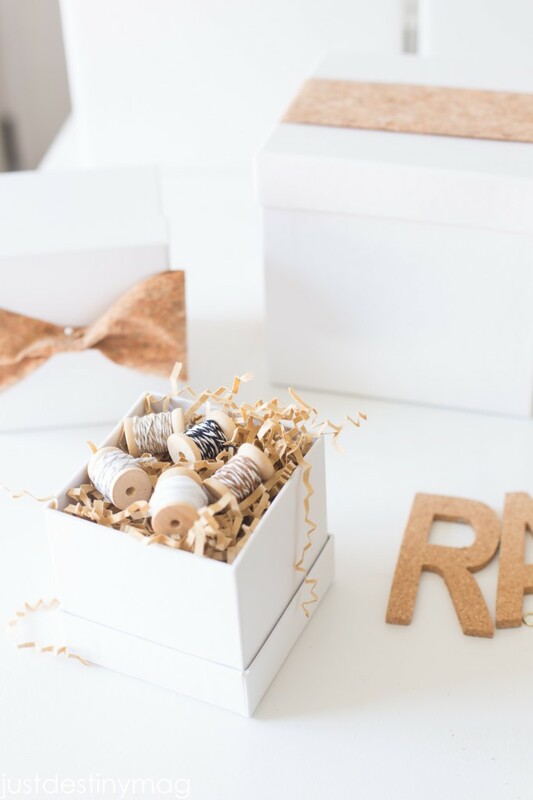 Arrange them nicely in a beautiful box for that craft lover in your life! 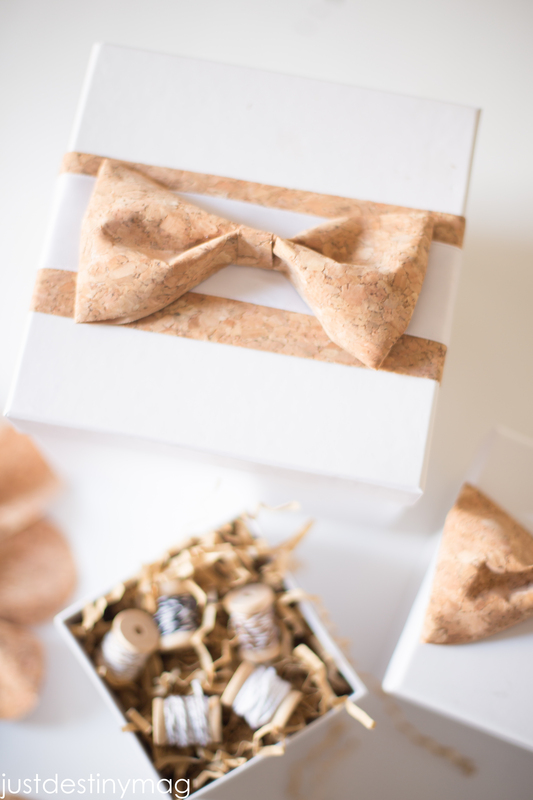 Not that your ready to wrap, get out this super cute cork ribbon and make some cork bow! How to: First cut out a 12 inch piece of ribbon and 4 and 1/2 inch piece.Use adhesive to secure both ends to the middle of the 12 in piece. Then use more adhesive or hot glue gun to pinch together the top and the bottom for a pleated middle. Wrap around the smaller piece and adhere to the back. Now you have a gorgeous bow! Aren’t those bows so cute. I love the texture it adds to the gift box! I know you can’t wait for that ribbon to come out! Oh the possibilities! [line]To keep in up with this new line, check in at Michaels.com! Check out this months projects from my friends!